This title offers proven, simplified tying methods and unbeatable fishing techniques. 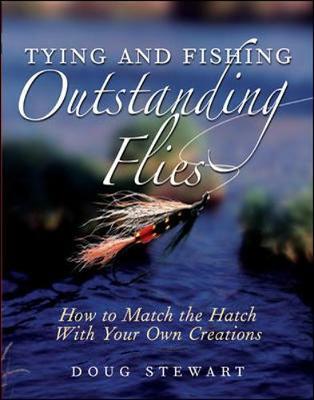 Whether you're a veteran fly fisher or just wetting your line, "Tying and Fishing Outstanding Flies" shows you a better way. In this profusely illustrated guide, fly shop owner Doug Stewart introduces a simpler and far superior fly-tying methodology that he has developed over his 28 years as a fly fisherman and fly tying instructor. In a clear, conversational style, supplemented with hundreds of his own drawings, Stewart shows you, step by step, how to tie strong, durable flies that fish can't resist. He explains how, where, and when each fly works best, based on the fish's habitat, feeding habits, and time of year, and he offers sage advice on how to use each fly most effectively.